Today we look thru the 3 best Amiga games that puts Super Mario Bros as a plattformer into shame. For many, Super Mario Bros is the Nintendo’s icon that started the platform gaming genre popularity. But many forgets that Commodore AMIGA came out in 1985 and in 1987, Amiga 500 got launched which became the most selling home computer in Europe by 1990. Nintendo managed to do lot’s of harm with their NES gaming system and the launch of Super Mario Bros. But Amiga had some really awesome plattformers too since the early days too that put Nintendo high end titles into shame we think. And yes, be prepared to know something about Giana Sisters. 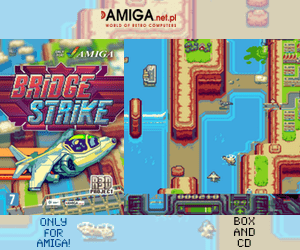 In this article we look at OCS Amiga games. It means that they run on Amiga 500, Amiga 1000, Amiga 2000 and Amiga CDTV with 512KB or RAM and more. 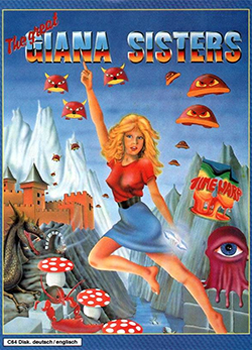 On 6th of May 1987, Time Warp Productions released The Great Giana Sisters for Commodore Amiga and Escom Amiga home computers and for other platforms at that time. But it was the version for the Amiga platform that did stand out, with fantastic music and sound effects. In this plattformer you play as Giana character, which is one of the very first female characters in a plattformer. Music in The Great Giana Sisters is made by Chris Hülsbeck, which is still active in making amazing music. We at Amitopia met Chris atthe Amiga32 event in Neuss, Germany in 2017! He even gave away some interesting card tricks at the Dinner event after Amiga32! The Great Giana Sisters for Commodore Amiga at that time didn’t sell long though. After one week or so. Rainbow Arts had to stop all of the sales of the game. Nintendo sued them, as part of its controversial production. Nintendo claimed the game to have too many similarities to their famous Super Mario Bros game that came out in 1985. In reality, these two games are very different. Both of them are plattformers and there are some graphics similarities though. AND now the new versions of The Great Giana Sisters for todays consoles got no issues at all. But Nintendo made it really clear about who is right and not. The Great Giana Sisters can be said to be a much more mature type of game. Nintendo focused on being a family company, with their Super Mario Bros release. However, we think that this plattformer is too good to not be played. Thanks to the piracy scene. The Great Giana Sisters survived! One of the best plattformers still. The new AGA version by Pixelglass is also awesome. They ported The Great Giana Sisters S.E. with improved graphics to the Amiga platform for free. If only Nintendo didn’t play big brother, this plattformer for Amiga, would help Amiga much more with much higher sales if it didn’t get issued by Nintendo. Giana Sisters would get the same fame as Sonic got for sure. Don’t you think so? This is the official sequel to The Great Giana Sisters as stated here. In this game you also play as a female character. But instead of being able to destroy bricks with the head like in Giana and Mario, in this game you can destroy them by shooting bouncing bullets on them so that they explode. Developed for Rainbow Arts and music made by Chris Hülsbeck says everything about why this game is awesome! The game itself was published by reLINE, due to previous legal problems between Nintendo and Rainbow Arts regarding The Great Giana Sisters. So, in the interest. Metal in Hard ‘N Heavy might actually be Giana, but because of legal issues with Nintendo her name is changed. Is Hard ‘N Heavy Giana 2 – Arther and Martha in Future World? In spite of everything, a follower named Giana 2 – Arther and Martha in Future World was developed, whose release was averted by Nintendo, although the game had already veered away from Super Mario. In autumn of 1988 Rainbow Arts announced, that the backtracked release was not caused by copyright problems. In fact “they did not feel confident about the quality of the program”! 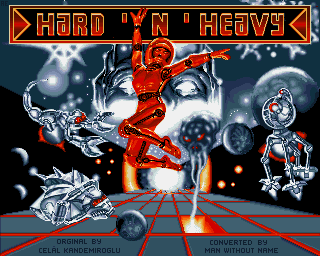 Finally, the game was released at least in Germany with different player sprites named Hard ’n’ Heavy and published by reLINE. So, if Giana 2 – Arther and Martha in Future World is Hard ‘N Heavy. We can conclude that this is the official sequel. The theme and feel of the game is very Giana 2. The game got same secret room entering and the same way of killing the end bosses that you can just jump over or shoot. Hard ‘N Heavy is in my opinion one of the best plattformers out there on any plattform. It is so solid made. It got everything that The Great Giana Sisters got, but the changes in gameplay made this game even better. All graphics, gameplay and the variation of music on all levels makes this game a Super Mario Bros beater for sure. 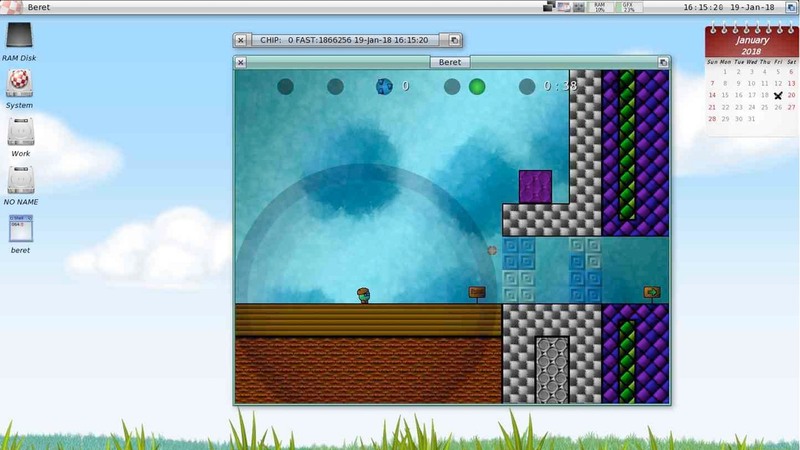 Including being a sequel to The Great Giana Sisters, the programmer also had issues it seems. He knew how to code a great plattformer for the Commodore Amiga platform for sure. He should have been much more loved. Who he is unknown. Check out the note on hol.abime.net. However, we know that this worked at Time Warp when he coded The Great Giana Sisters. On the C64 wiki site Armin Gessert, Celál Kandemiroglu and Andreas Escher is listed as developers of that version. If some of you or all of you ported this game to the Amiga platform. You are my heroes forever. Hard ‘N Heavy by reLINE can be said to be a much better game. Nintendo focused on being a family company with their Super Mario Bros release. However, this plattformer is too good to not be played. Thanks to the piracy scene. This game also survived! But I feel its one of the most underrated Amiga plattformers ever made. Like with Super Mario Bros 2, people didn’t want to play it as much because of much less writing and marketing of the game. Team 17 is known for their Worms series today. These cute worms that shoot all kinds of stuff at each other, became humongous popular. By taking Lemmings one step further, this game became humongous popular everywhere. Then they released Worms 2 and Team 17 is still releasing Worms versions for new platforms still. But when it comes to plattformers on the Amiga. Team 17 is known for releasing Superfrog in 1993 for the Amiga home computer. Superfrog for Commodore Amiga and Escom Amiga home computers is a fantastic plattformer that is fast without any slowdown issues. You control a frog around on huge levels. Yes, they are huge for requiring 1MB of RAM. 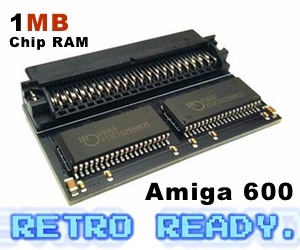 It works on OCS Amiga, ECS Amiga and AGA Amiga. There is also even a Amiga CD32 version of the game out and a AmigaCD version that was released in 1999! What’s so fun about this game is how fast this game runs on any Amiga. And all of the secret rooms you find on your way. There is something really satisfying about this game that I don’t get by playing Super Mario Bros or even Super Mario World that came out for SNES. Superfrog by Team 17 can be said to be a much better game because its totally different and yet very cool to play. Nintendo focused on being a family company with their Super Mario Bros release and we can see that Team 17 tried to meet that focus with SEGA’s Sonic speed. Superfrog is something in between. Team 17 managed to make this game to something iconic instead of trying copying Nintendo and SEGA plattformers. There is also a Android (not available anymore from Google app store for some unknown reason) and a PlayStation Store version of the game. This version got released by Team 17, but is missing various elements such as more mature graphics style. The childish style of graphics art that is obvious taken from their Worms 2 kind of graphics simply doesn’t fit Superfrog’s world at all. We think that they should have kept the Commodore Amiga art style graphics in this modern version of the game. 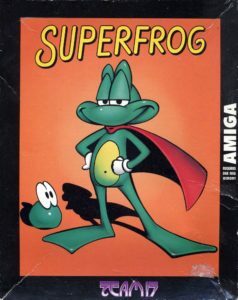 There is also a PC version of Superfrog that came some years after the Amiga release in 1993. But it is the Amiga version that people remembers. Mostly because of the Eric Szchwartz intro animation clip in the Amiga version of the game. It is one of the best animation intros made for a plattformer. Eric is also a heavy promoter of the Amiga plattform even today as you can see in the video on YouTube here. The Amiga version of Superfrog, is one of the first games made with product placement included into a game. Together with Cool Spot by Virgin games in USA, and Zool plattformer series by Gremlin. The product placement in Superfrog doesn’t hurt the gameplay and feel at all though, and that’s how it should be too. Nintendo and SEGA might be the kings in console markets. But Amiga 500, which is an OCS Amiga was sold as a gaming machine, but is a home computer. In the years 1987 to 1990. Amiga 500 was the most selling home computer with big gaming capabilities. Plattformer games that exists for the Amiga, made Super Mario Bros by Nintendo look bad and way too childish. It doesn’t mean that Mario games are bad at all. I love to play them! Sonic too and even Jazz Jackrabbit for MS-DOS. But Super Mario Bros didn’t deserve the boost start it got I think. They sued some of the finest developers for the Commodore Amiga plattform at that time. These developers for the platform knew how to develop great plattformers. Gremlin that made a desperate try to beat Mario with Zool and Zool 2 games, were two very good plattformers. But for some reason, all Zool versions for the Amiga got speed issues? The game isn’t fluid. You can feel the FPS drops in all of the versions. The speed between Zool and Superfrog is huge. Superfrog delivers on all areas where Zool fails we think. What is your favourite plattformer for the Amiga?